A British government minister has admitted that his country is providing “engineering support” for UK-supplied aircraft operated by the Royal Saudi Air Force, responsible for killing innocent people in Yemen. Armed Forces Minister Mark Lancaster was responding to a question in parliament from Labour MP Lloyd Russell-Moyle, on military personnel seconded to BAE Systems in Saudi Arabia, when he admitted that Britain’s Royal Air Force (RAF) has provided engineering and “generic training” to the Saudi Air Force involved in the bombing of Yemen. “RAF personnel on secondment to BAE Systems in Saudi Arabia have provided routine engineering support for UK-supplied aircraft operated by the Royal Saudi Air Force (RSAF), including aircraft engaged in military operations in Yemen,” Lancaster said. 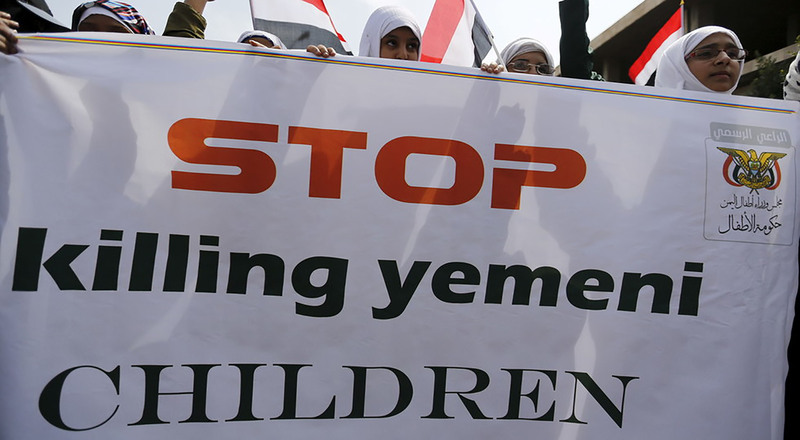 The admission to an offering of direct military support to Saudis in the midst of the war on Yemen comes despite previous statements by UK government officials who had denied London had any role in the plight of the Yemenis affected by the Saudi war. This comes as UK-supplied weapons and aircraft have repeatedly been used to bomb schools, hospitals and other types of civilian infrastructure in Yemen. Many have called on London to totally ban arms sale to Saudi Arabia as the kingdom faces a growing number of accusations about its records on human rights.